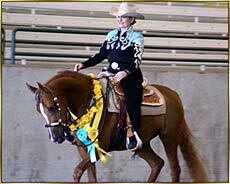 The Daffodil Arabian Horse Association Performance Futurity is open to all registered Purebred and Half-Arabians 5 years and under. Futurity classes currently being offered are Western Pleasure and Hunter Pleasure and are held during the Daffodil Spring Show. There is an amateur incentive which pays out 10% of the prize money plus a silver belt buckle.